Hsipaw is a quaint little town east of Mandalay best known for its trekking opportunities, beautiful countryside and villages. The best way to reach Hsipaw is by the old train line that runs from Mandaly or Pyin Oo Lwin and crosses over the famous Gotiek viaduct on the way. While it’s a long and bumpy journey, the train passes through some stunning scenery that would otherwise be missed when travelling via the road. 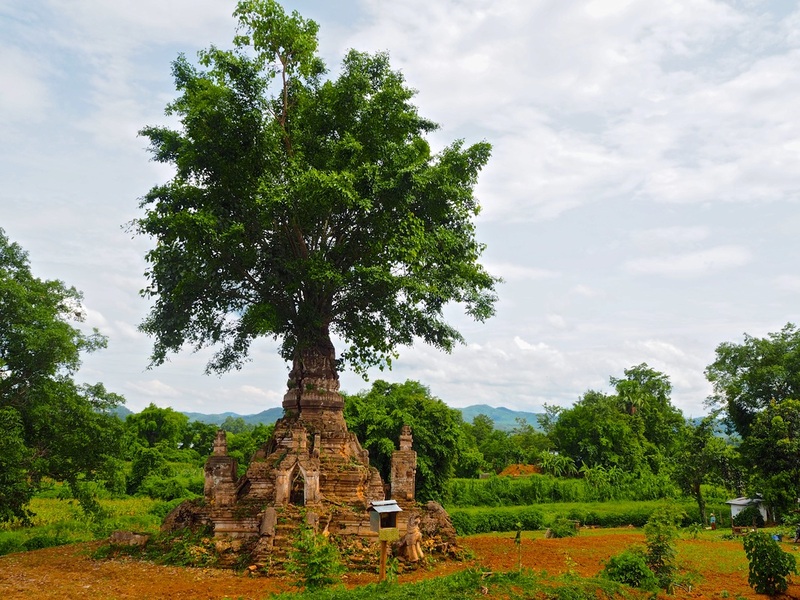 Hsipaw sits on the banks of the river and while it has a few attractions for tourists such as “Little Bagan” and the old Shan Palace, the beautiful surroundings are the towns biggest asset. Yee Shin Guesthouse is located one street away from the main market in the centre of town and around a 10 minute walk to the train station. The guesthouse is run by a group of young locals who do a great job and are always around to offer assistance. Breakfast is included in the room rate and is a choice of eggs, toast or the local specialty of the day. The dining area is available all day for guests to use the free Wi-Fi, read a book or just relax and there is also a ping pong table available for guest use. We stayed in a double room with private bathroom, fan and air-conditioning. There are also single and double rooms available slightly cheaper with shared bathroom facilities. Our room also had a flat screen TV with a few English channels which was great when we had torrential rain for a day! The staff at Yee Shin Guesthouse are also able to organise trekking, guided tours, bus tickets and laundry. Yee Shin had a very friendly atmosphere and when combined with it’s great location and clean rooms, we found ourselves staying longer than we had planned. 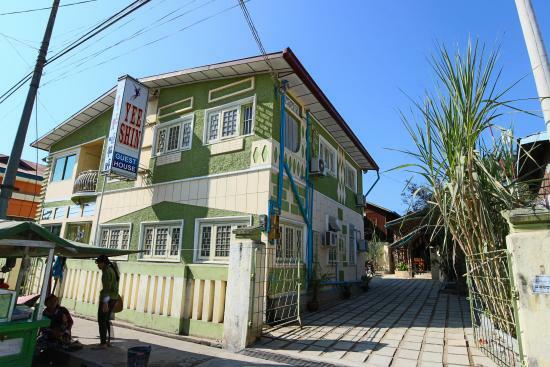 This guesthouse is a great choice for your next visit to Hsipaw in Myanmar.